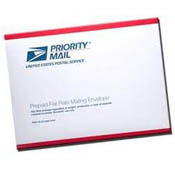 For domestic orders in the United States, I am charging a Flat rate of $5.00 for USPS Priority Mail. International shipping is only available on Custom Orders. Send us an email or fill out the Request Quote Form with the details of your order and we’ll create a custom international order for you. 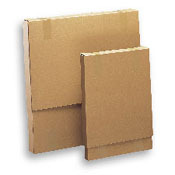 Stencils 8″x11″ and smaller are mailed in a USPS Priority Mail Flat Rate Envelope. 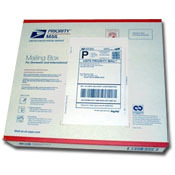 Larger Stencils between 8″x11″ and 12″x15″ are mailed in USPS Mailing Boxes via Priority Mail. Extra Large Stencils over 12″x15″ are mailed in flat cardboard boxes via Priority Mail. All orders are shipped from Albuquerque, NM USA. Most orders will be shipped within 2-3 business days. You will be notified by email once your order has shipped. Priority Mail shipping usually takes 2-3 days to arrive after it’s been shipped.